Parsley spice of heroes because ancient people believed that those who consume parsley become strong like a stone. Parsley is rich in minerals (potassium, calcium, magnesium, phosphorus, iron, etc.). Aids digestion, tones the body and enhances diuresis and acts antispasmodic. Moreover, parsley eases urination. It recommended for edema of cardiac origin, diseases of the urinary system. 1 tablespoon roots and / or leaves are covered with 400 g of boiling water. Soak for 2 hours and strain the broth. Drink 1 glass of wine (75 g) four times daily before meals. 1 teaspoon of seeds pour 400 ml of water. Soak for two hours, strain the broth is drink a glass of wine (75 g) 4 times daily before meals. Fresh parsley juice is the most useful and drink 1 tbsp 3 times a day before meals. Parsley externally applied as compresses in hardened mammary glands of lactating women. 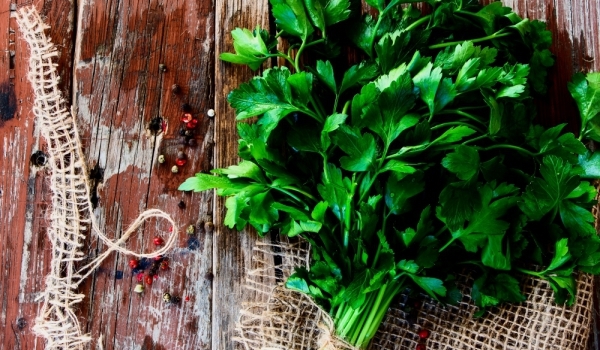 In the Bulgarian folk medicine parsley is used to suppress the formation of intestinal gas and increase appetite in stones and sand in the kidneys, in kidney colitis and menstrual disorders. 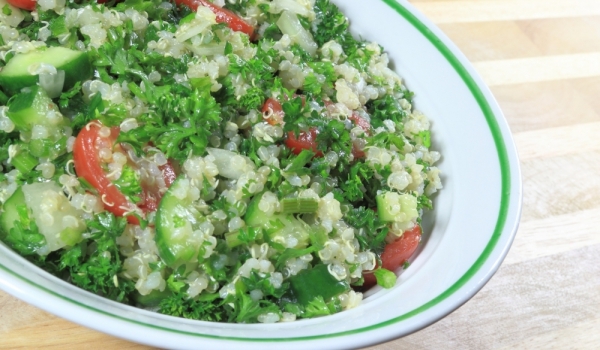 In this case you do every day following salad: ’10 finely chopped parsley leaves, 1 tomato and cucumber 1/2. Parsley juice applied with a cotton swab is used to remove pigmented spots on the skin of the face and hands. 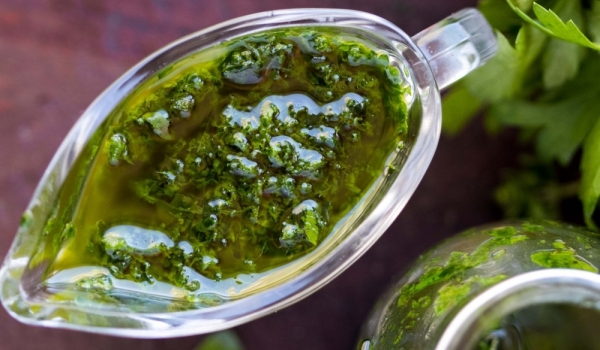 Volatile oils in parsley and in particular miristitsinat, has been shown to prevent tumor formation and, in particular, the formation of a tumor in the lungs. Flavonoids contained in the parsley and especially luteolin, has been shown to function as antioxidants that combine with highly reactive oxygen-containing molecules (called oxygen radicals) and help prevent oxygen-based damage to cells. Parsley is a good source of folic acid, which is one of the most important B vitamins. While it plays many roles in the body, one of its most important roles is in relation to cardiovascular diseases. Hence the need for its participation in the process by which the body converts homocysteine ​​into benign molecules. Parsley is extremely useful in the treatment of various eye diseases. Inflammation of the cornea of ​​the eye, cataract, conjunctivitis, ophthalmia in various forms and are treated with fresh parsley juice mixed with celery juice and chicory. Foods rich in vitamin C, such as parsley, provide people with protection against inflammatory polyarthritis, a form of rheumatoid arthritis involving two or more joints. Parsley is recommended for women with abnormal menstruation. Although parsley is very useful and energizing, pregnant women should be careful with it. Excessive use can cause blood flow to the uterus and cause abortion.